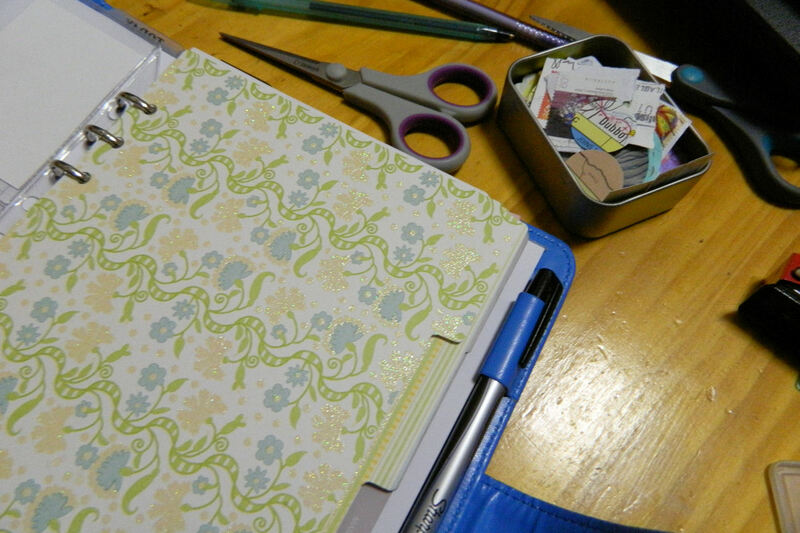 I’ve been tweaking my Inner-B Mum Organiser system a little to fit the way I work better. The diary/planner section is absolutely perfect and fits me to a T, so no need for any customisation there, but I did need to add a few new dividers to keep my project and study information separate and organised. 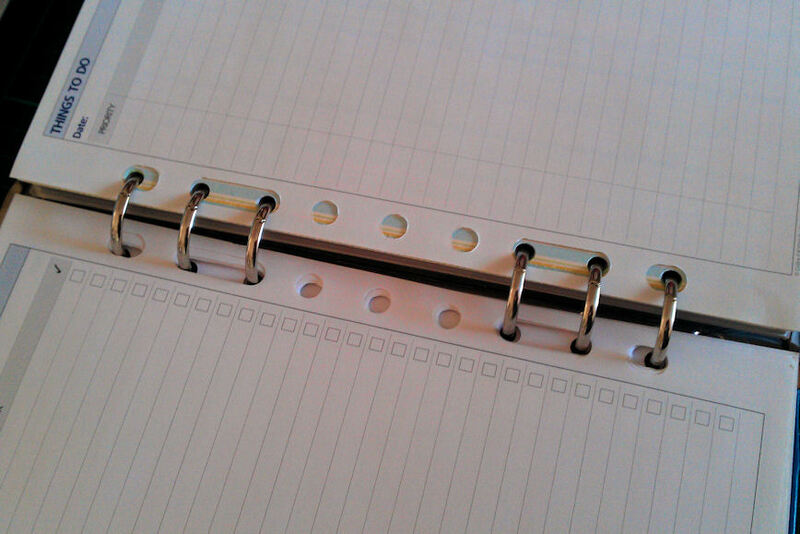 The organiser itself takes A5 sized pages and fits the Filofax A5 six-ring punched inserts, so I started by looking at the Filofax Shop to see what was available. They had a set of six plain cream dividers that would have done the trick, but they weren’t exactly cheap. The organiser will also fit the Collins Debden inserts, so that’s where I headed next. 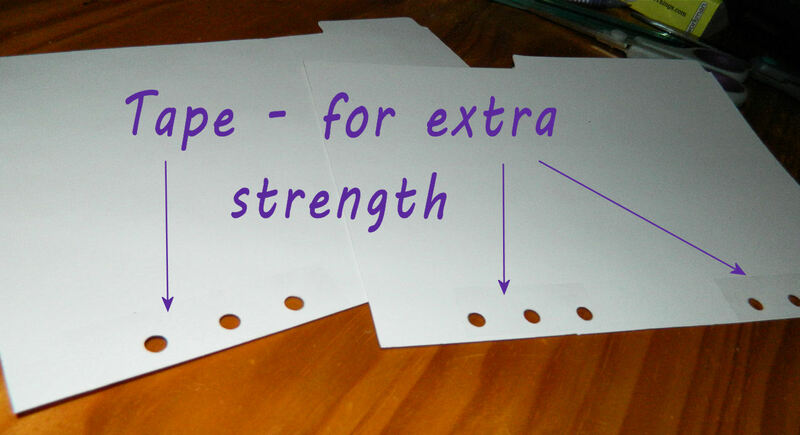 Although they’re meant for a seven-ring binder, the multi-hole punched system allows them to fit a number of different ring configurations. The drawback is that the pages are a little taller and narrower than A5, so dividers would be too narrow for my purposes. Here’s a pic of the Debden inserts in my binder. You can see the extra long holes that allow it to fit various systems. And here’s the same Debden insert laid over a piece of green A5 paper. You can see that the Debden page is slightly taller and narrower than the A5. After seeing a number of people on Pinterest and Filofax fan sites had made their own dividers from card I thought this was the best way to go. For this first attempt I used some patterned scrapbooking cardstock I had on hand. 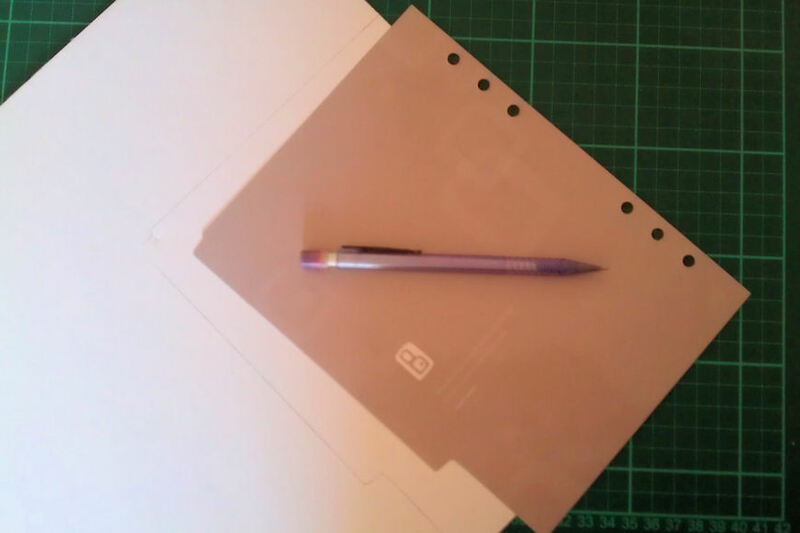 Using an existing divider as a template, trace around it on the cardstock and mark where the punch holes need to go. Cut around the traced lines and voila, a brand new divider! Once the dividers are cut out, add tape to the edge for reinforcement and punch the holes. 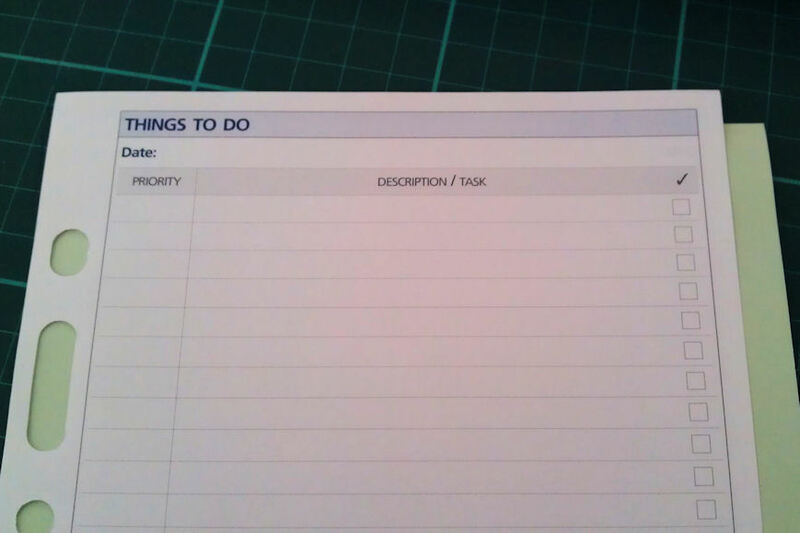 This entry was posted in Organise and tagged Custom Inserts, Organiser by Sammie. Bookmark the permalink. Hi! Fantastic! I threw my dividers (I thought the quality was awful and the colour too!) last year as I thought they would come with the 2013 refill but they don’t. I actually love what you’ve made and I am going to use your idea and tips. Could I ask you what kind of card you use to make the dividers. Thank you. Hi Virginie! 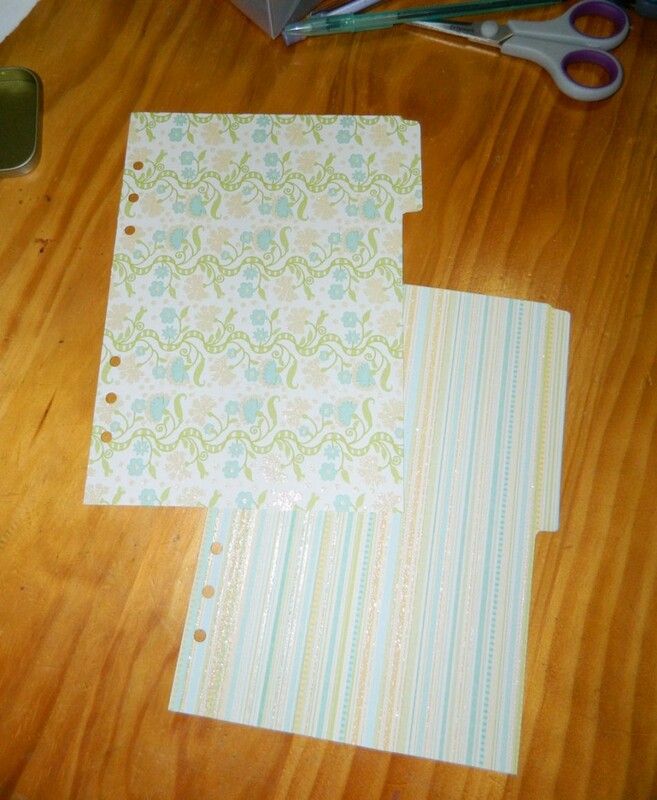 The card I used for the dividers was heavier weight 12×12 scrapbooking pages. I’m not sure what their exact paper weight is, but they’re comparable in thickness to some 210gsm plain cardstock I have. I purchased them in a couple of years back from Big W.
They are a little thicker than the dividers that came with my organiser, and surprisingly seem to be holding up better. Being at the front of my organiser I thought they’d be showing a lot more wear and tear by now, but still look nice and neat. In contrast the organiser dividers are all dog-eared and the laminate is beginning to peel from them. 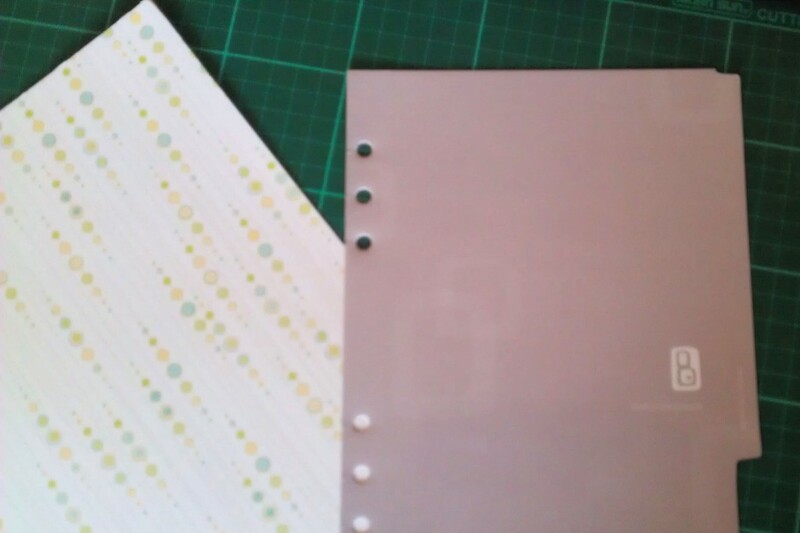 I got dividers with my 2013 refill, no choice what colour though and they are a rather boring greyish colour. Making your own is a wonderful idea. lots of colour choices then!